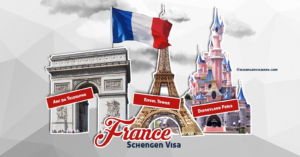 New Visa-Waiver Scheme for Travel to France? The EU has put together a visa-waiver system, similar to that of the US, which will be applied to nationals of 60 countries including Australia and New Zealand. British citizens may therefore need a visa to enter the EU after Brexit. ETIAS (European Travel Information and Authorisation System) is intended to cover travel in the *Schengen area, the zone of 26 European countries which agreed to abolish their internal borders “for the free and unrestricted movement of people, goods, services, and capital”. Unless a special exemption is put in place, British and Irish Nationals traveling to France could end up being obliged to apply online and pay a small fee for entering the country, to be shown upon boarding planes, boats and trains! ETIAS authorisations should be issued or denied within 96 hours. If the proposal is successful, it could be applied as soon as 2021. *Austria, Belgium, Czech Republic, Denmark, Estonia, Finland, France, Germany, Greece, Hungary, Iceland, Italy, Latvia, Liechtenstein, Lithuania, Luxembourg, Malta, Netherlands, Norway, Poland, Portugal, Slovakia, Slovenia, Spain, Sweden and Switzerland.